Thanks to the Koestler Trust, I am now being mentored by Sally Hinchcliffe, a published author with an M.A. in Creative Writing from the University of London. I’ve received some emails asking what’s going on with the mentor sessions, and the book. It’s good news all around. With the help of my literary agent and Sally, I’ve been readjusting the structure of my jail memoir. Sally said her work is done on coaching me with that book now, and that we need to move on to what I’m going to write next. I only have a few more sessions left with her, so I hope to make the most out of them. My agent is giving the latest draft of the book a proof read, and if all is well he’ll be talking to publishers about it soon. I started taking jail notes back in 2002, so the book has been a seven-year work in progress. I’ve never spent that long on a single project before, so you can probably imagine how excited I am to be almost at the finishing line. This section really doesn’t work as stands. The blog material is too patchy and interrupts the arc of the story – your relationship with Claudia and what is at stake with the plea bargain and sentencing hearing. You need to concentrate on those elements which show the inhumane conditions of the jail – for once without the leavening of humour. You also need to show what has happened to people who don’t plea bargain and make it clear that one-by-one your codefendants are plea-bargaining. What’s at stake isn’t clear. Make your feelings about the plea bargain much clearer. Why you took the decision. How it felt to do it. The letters you used are too distancing and abrupt. You also need to show the aftermath of your break-up with Claudia. What you did during the next hour, day, week, month. Your reaction at the time. Not how you think of it now. Don’t worry about coming across as self-pitying. Stick to what actually happened as it felt at the time and it should not come across that way. Disembowel yourself in those penultimate chapters. Don’t hide yourself behind letters and blogs. Show it through stories and incidents. Crank up the tension. Make it felt. Write it in the frame of mind from when it was actually happening, and you didn’t know what was going to happen next. Then, when you have got everything set up properly, the last chapter [the sentencing hearing] can speak for itself. Acting on that advice, I ditched all of the material culled from the blogs, and added anecdotes to show what was at stake with my legal situation, and how I felt about the break-up with Claudia. The blog material was written in a humorous voice that didn’t suit such a serious juncture of the book. Sally also recommended I read The Gathering by Anne Enright, which won the 2007 Man Booker Prize. 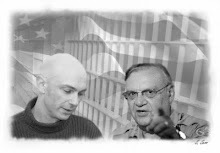 Preface can be short - a couple of hundred words - just to familiarise the reader, at least in the UK, who will be unfamiliar with Arpaio and his jail system. Joe Arpaio of Maricopa County, Arizona boasts he is the most famous sheriff in the world. He feeds his inmates green bologna, and garbs them in pink underwear. He calls himself “America’s toughest sheriff,” but never mentions that he is the most sued sheriff in America due to the deaths, violence and medical negligence in a jail system subject to investigation by human-rights organisations including Amnesty International and the American Civil Liberties Union. Arpaio was voted into office in 1992. He won four more elections, but his margin of victory plummeted – in part due to several highly-publicised deaths at the hands of his staff. They include Charles Agster, a mentally-challenged 33-year-old arrested for loitering. He was hog-tied, jumped on, punched and strapped into a restraint chair, where he stopped breathing. And Brian Crenshaw, a partially-blind shoplifter who the guards pulverised for failing to produce his ID. He was found comatose on his bunk with a broken neck, toes, and severe internal injuries. The list goes on, and Arpaio actually promoted some of the guards the court found responsible, earning him the “Angel of Death” nickname by his critics. The majority of the inmates housed in Arpaio’s jail system are unsentenced. They have not actually been found guilty of the crimes for which they are being held. Yet the conditions in the jail system are far worse than those in the prison system where convicted criminals are housed. Despite all of the adverse publicity and investigations by various departments of the federal government, Arpaio has managed to stay in charge and command a support base bordering on the fanatical. He’s had two books published, and was awarded his own prime-time reality TV show, Smile...You're Under Arrest! Wow. Great to see you are making progress Shaun. May I please provide a little bit of feedback from a longtime reader? I still feel as if a little bit is to be desired in the preface. I understand the premise of the preface, and that it is a mere short synapsis introducing the reader to your story, but is this book just based on the atrocities committed by Gun-ho-Joe, or is it a "take along" perspective memoir? Just a little bit more of where you intend on taking the reader may help. Best wishes and my submittal is coming soon. Thank you. -Jose in San Diego. I did originally write a general preface, but the literary agent said he only wanted a preface explaining about Arpaio and his jail system, for readers unfamiliar with Arpaio and his jail. 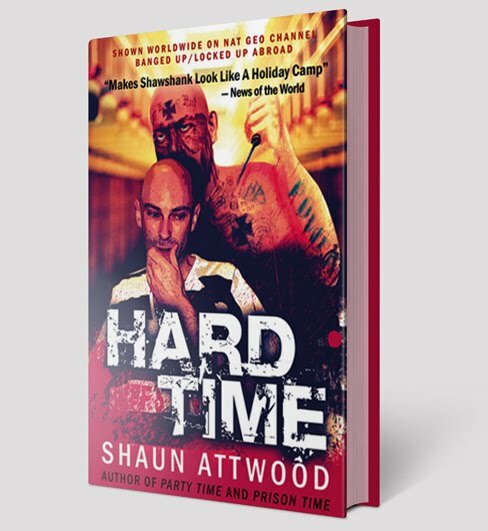 The book is about my first 26 months in captivity (as an unsentenced inmate), from SWAT knocking my door down to my sentencing hearing. As you put it, it is a take along - safety belts required at all times. Very interesting. Not many people get the kind of mentoring that you have received. I'm aware that you certainly won that privilege. I'll throw in my 2 cents on this difficult subject of mentoring a writer: I attempted to write a novel in my early thirties. I had gathered lots of research to use as a backdrop for my story. I had been a photographer for the Aleutian-Bering Sea Institute and had fashioned a tale that emanated from that actual experience. The research would help provide details about the place, the peoples, etc. It became clear that I had not really honed my own voice. When I read other authors, their voice would intrude on my own (meaning - unconsciously I would be overly affected by their style). Over the years, I have come to prefer a very short, concise prose - providing specific details that convey feelings that the reader will provide rather than me (the author) laying everything on the table. Again, as my own preference, flowery language with lots of clauses within sentences is not my thing. I would imagine that many novice writers run into the same problem of wanting to become familiar with the styles of other excellent authors yet not be overly influenced by them. This sounds like it will be an amazing book and accomplishment! Arpaio has been sheriff for longer than 1996, not sure of the exact year, but he has been voted in over and over again and it seems like it has been longer. Might want to double check that one. Also, a book that I will recommend is by Jimmy Santiago Baca, "A Place to Stand". An excellent autobiography where he does time in the AZ system in the 70's. Some of the guards in Florence and Eloy are the same guards that were there in the 70's. Interesting to see how nothing (e.g. ; the high level of abuse) has changed much-apart from getting worse with the privatization of the prisons in the 90's. Glad you pointed that out. It has been duly fixed in the manuscript to 1992. I'll see if I can get my hands on that book you recommended.